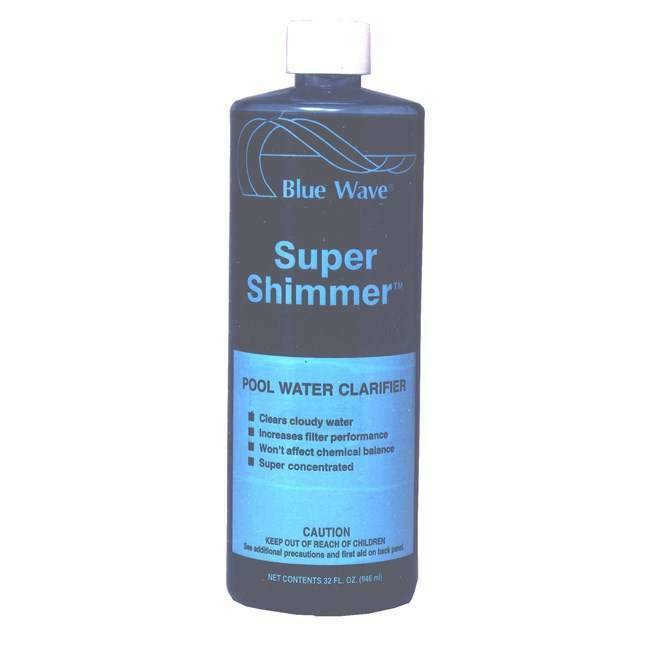 Super Shimmer Water Clarifier / 4 x 1qt. Specialty Swimming Pool Chemicals. Super Shimmer by Blue Wave. 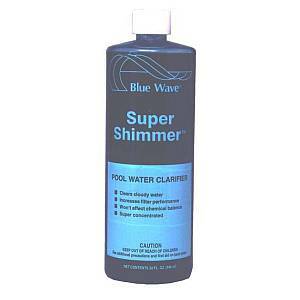 Super Shimmer clarifiers and coagulates particles in your pool water for easy, more efficient removal by your filter. Count on Blue Wave super concentrated clarifiers to clear up you cloudy water, and make it shimmer! Buy 4 quarts and SAVE! Compare to Super Blue, Diamond Blue, and Clear Blue. Twice the strength of other clarifiers - a great value! For brilliant, sparkling pool water!